The Niwano Peace Foundation will award the thirtieth Niwano Peace Prize to the Right Reverend Dr. Gunnar Stålsett, Bishop Emeritus of Oslo in the Church of Norway. The prize recognizes Bishop Stålsett's extraordinary and persistent work for peace and reconciliation in many countries through interfaith work. 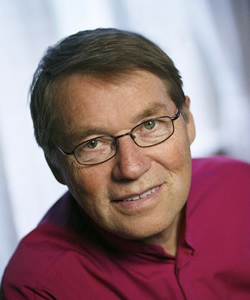 As Bishop of Oslo, General Secretary of various Lutheran entities, and a domestic and international advocate on behalf of the Norwegian parliament and royal family, Bishop Stålsett has organized inter-religious collaboration against conflicts in South Africa, Namibia, Iraq, Sri Lanka, Kosovo, Kyrgyzstan, Myanmar, Palestine, and Israel. Among various humanitarian and diplomatic efforts, he has also engaged in campaigns against land mines, HIV and AIDS, and arms and nuclear proliferation. Bishop Stålsett will receive the award, along with a medal and twenty million yen, at a presentation ceremony in Tokyo on May 16, 2013.